Candy Tong (b. 1975, Singapore) is an art educator at Yishun Town Secondary School. Her formal art education began at LASALLE College of the Arts with a Diploma in Fashion Design in 1996. 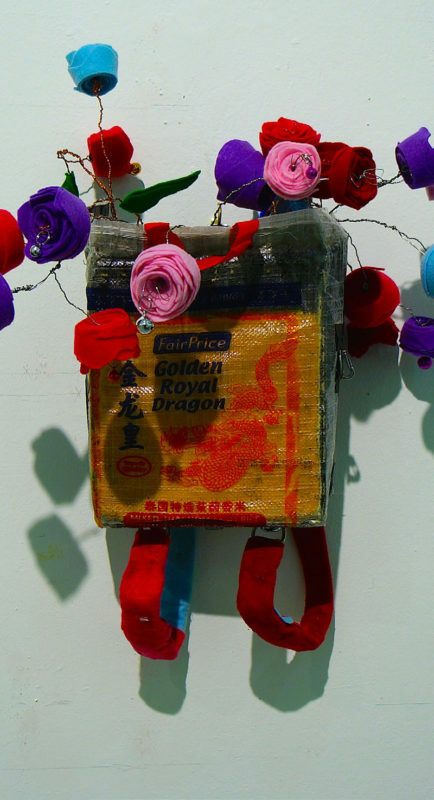 Her passion for art and education led her to pursue a Diploma in Art Education in 2011; she achieved both Distinction and the Yu She Yuen Book Prize upon graduation. With a firm belief that art education should nurture the young to appreciate art by providing them a safe haven for self-exploration and expression encouraging self-confidence, Candy is a committed art educator, who plans and implements engaging lessons for students. In 2013, she delivered art lessons in China’s Shangdi Experimental School in Beijing. As an Art Club teacher-in-charge, Candy involves her club members in numerous community projects, such as the batik workshops at Christalite Methodist Home organised by Northwest CDC in 2013 and Bukit Batok East Community Centre’s PassionArts event Forest Come Alive in 2014. Since 2009, Candy has participated regularly in numerous art exhibitions, including HeArt@NSS at Nee Soon South Community Centre in 2009, Artease Inc Photo and Painting Exhibition at iLuma in 2010, Pastel Art Exhibition at National Library in 2011, SensaYtions Art Exhibition at NIE Art Gallery in 2012, “Where do we come from? What are we? Where are we going?” – the legacy of NIE Art Collection at NIE Art Gallery in 2013, A is for Art Exhibition at Asian Civilisation Museum in 2014, and most recently A…edge Exhibition at School of the Arts in March 2015. Candy is currently pursuing a Bachelor in Art Education with Management at UniSIM.